Part 1 of our D2K Traverse is discussed in this post. From the time we attended the Talaandig Tribe ritual up to the moment we left the summit of Mt. Dulang-Dulang. I woke up at 7 in the morning, it was my 8th day in Mindanao and I was missing home already. It was so far the longest time I was away from home, totoo pala yung homesickness. My family, my bed, the TV, my pc - I miss them all. So to battle this uncomfortable feeling, I went outside and checked the weather, it was very fine, blue sky over Malaybalay City. I smiled and told myself positively, "we're gonna have an awesome D2K climb!" Then I received a message from my buddies in this D2K adventure who were now on their way to Malaybalay City. They said that they'll arrive at around 11 AM. I roamed around the city while waiting for my buddies. 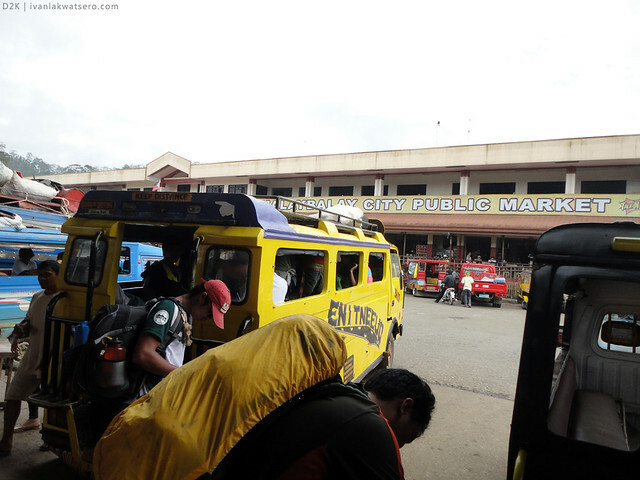 It was fun to watch the laid-back life of the people in Malaybalay, highly unlikely Manila. 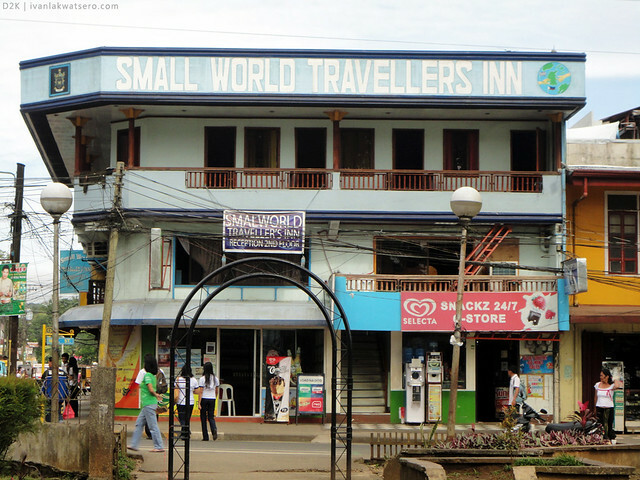 I stayed at Small World Travellers Inn when I was in Malaybalay. Just a fan room with TV, not bad for a P380/night. 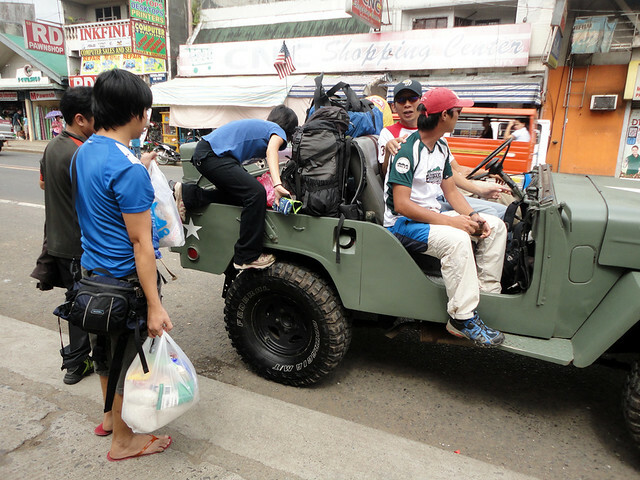 It was almost 12 noon when my friends, the Tramping Philippines Team, finally arrived. Sa wakas may kasama na ulit ako, minsan nakakalungkot rin ang mapag-isa at walang makausap. Soon after they arrived, Sir Oyec of Northern Mindanao Mountaineering Society (NORMMS), the guy who helped us arrange this D2K climb, and Sir Bogart of Bukidnon Mountaineering Club, our cool guide, came to welcome us. 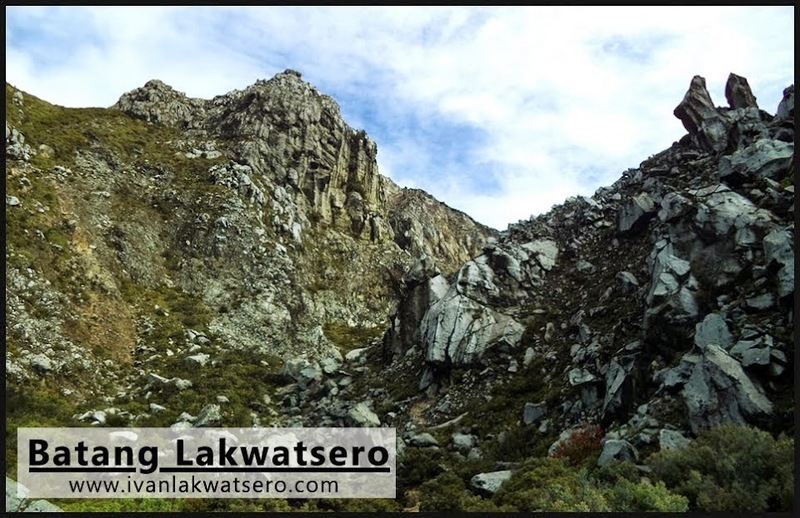 Before climbing D2K, or any mountain in Kitanglad Range, you must first secure your permit (you may contact Sir Oyec - 09063492585, or Sir Bogart - 09058352999 to help you with the arrangements). and brought us to Kaamulan Grounds for briefing. 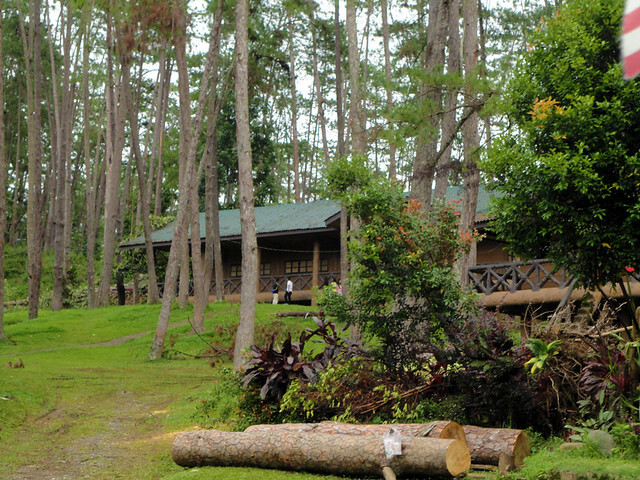 Malaybalay's Kaamulan Grounds resembles that of Baguio's Camp John Hay, pine trees were all over. 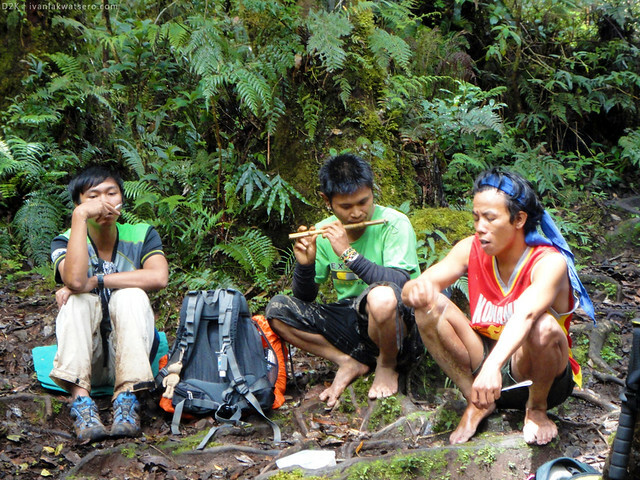 Also, prospective hikers of D2K are required to attend the Talaandig Tribe ritual to be performed by their datu. Take note that there are items needed for the ritual: white cloth, 2 alive chickens, coins, eggs, candy, and wine. You are also expected to donate a sum of money to Talaandig tribe. 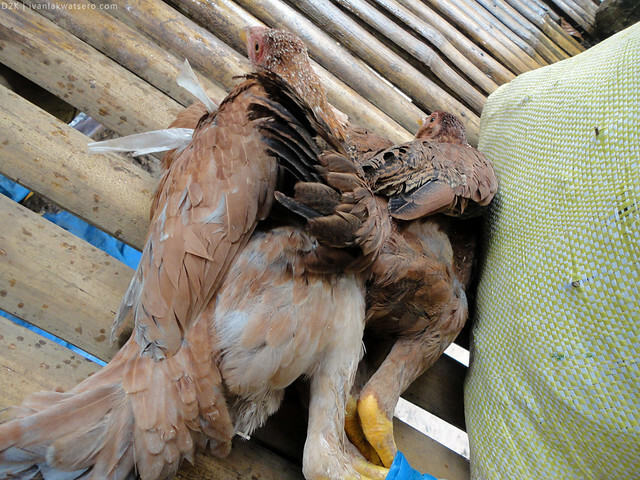 At the city market, around 2 PM, after buying the chickens needed for the ritual, we departed for Lantapan, Bukidnon. jeep to Lantapan - off to another great traverse. 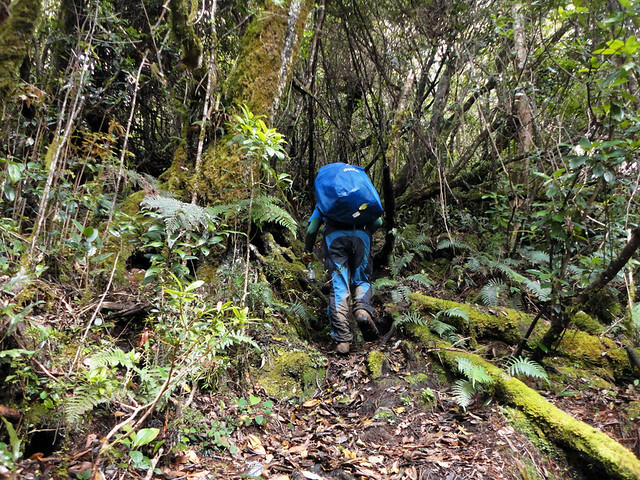 As we near Lantapan, I became so worried that this hike would also end up like my Mt. Apo. The blue sky we saw in Malaybalay turned grey, aarrgh, ayoko na ng ulan, quota na ako!. By 03:30 PM, after about an hour and half ride from Malaybalay, we're already at Sitio Bol-ogan, the jump-off for our D2K climb. 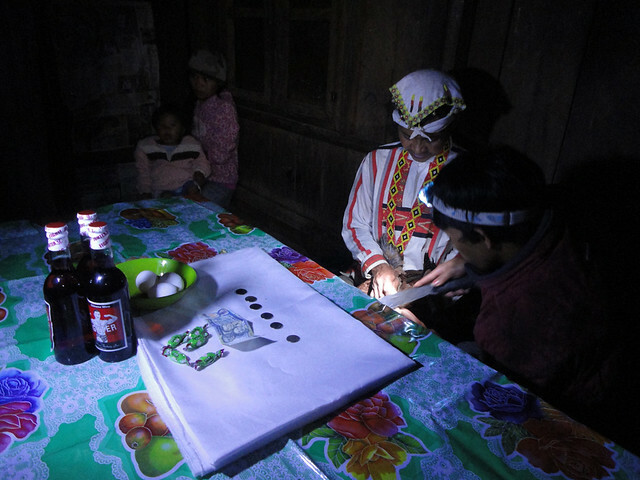 However, we cannot do the hike right away since we must attend the the datu's ritual in the evening. Good thing, our guide found a place where we could stay in for the night, woohoo. When the night came, we went to the datu's house where the ritual was to be performed, hindi pwedeng palampasin itong rare moment na 'to. There were two of them performing the ritual. Special prayers (which I don't understand) were said, and chickens were sacrificed. The rite lasted for about an hour, and at the end of it, we feasted on the chicken (of course they cooked it first). Before we left, the datu gave us coins wrapped tightly in pieces of white cloth, he said it'll work like an amulet, would protect us from whatever evil forces. We slept that night very early, 9PM pa lang ata, since we cannot be late the next day. We began our trek at 7 AM. With the sky so blue again, I was very positive that we're going to have a great D2K traverse. Since it was raining continuously last night, the early parts of the trail was, well, extremely muddy. 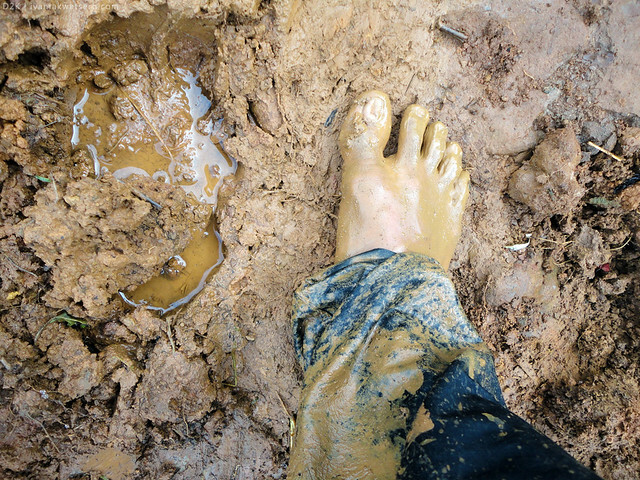 It was so challenging to move over an ankle-deep mud. Truly, this kind of trail is what I hate the most but ironically, I'm enjoying it. Enjoyed it even more when I trekked bare-footed. to wear slippers on a terrain like this is a big no no. who cares if we get dirty? in the mountains, getting dirty is fun. Past the muddy trail, we entered Mt. 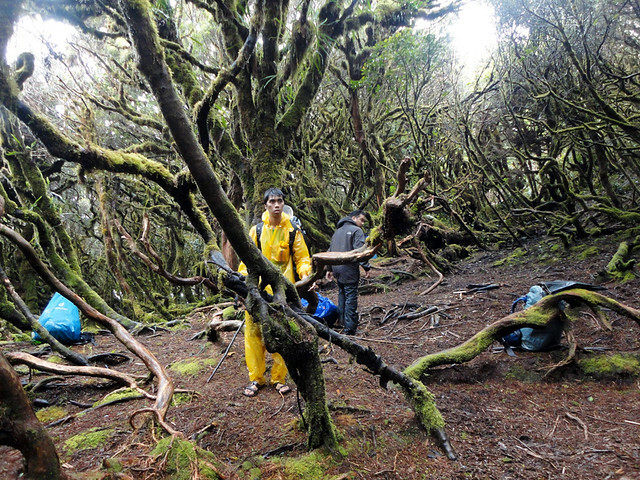 Dulang-Dulang's forest akin to Mt. 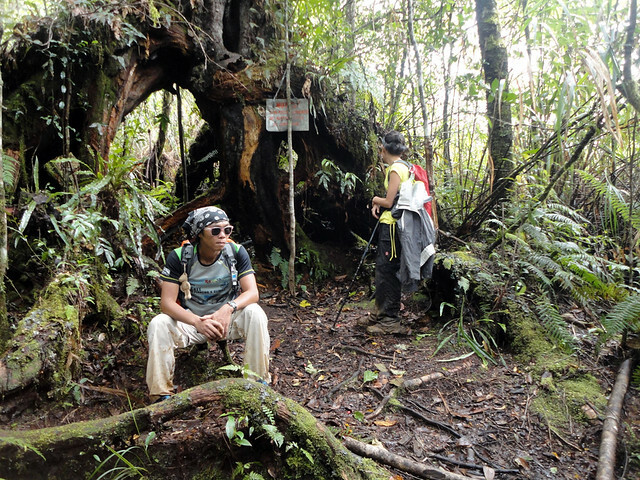 Makiling's wild boar trail. 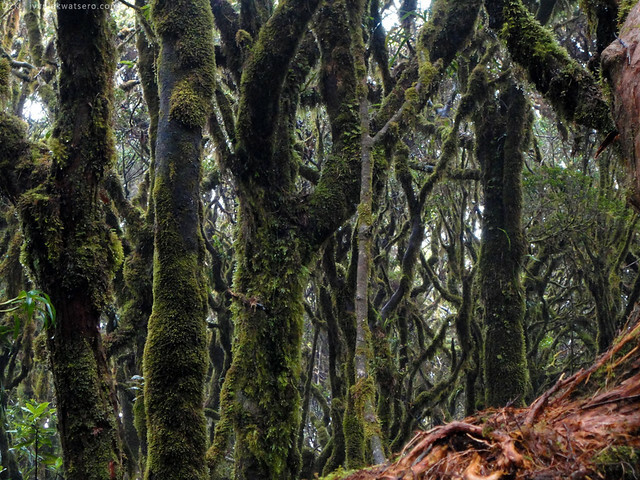 I was still amazed by its forest despite the fact that I have seen a lot with similar features. The trail was pretty well established however, there were a few fallen trees obstructing the path which makes the trail really exciting, Also, I don't remember any steep portions on the trail, or maybe there were, but lasted only for seconds. 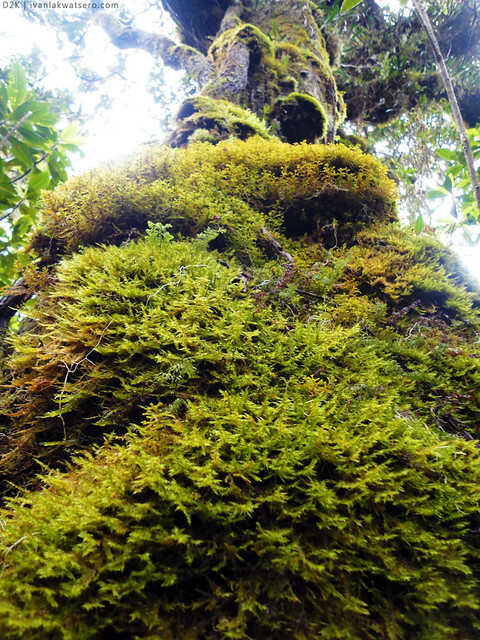 patches of moss were already seen in the early parts of Mt. Dulang Dulang. it really excites me to see trails full of obstructing fallen trees. I don't know why, but it really does. By 10:50 PM, we reached a river so cool and clean (reminds me of Tarak's Papaya River). Nearby is a campsite, perfect place to eat lunch. We spent 30 minutes in that campsite before we resumed our trek. Before I climbed Mt. 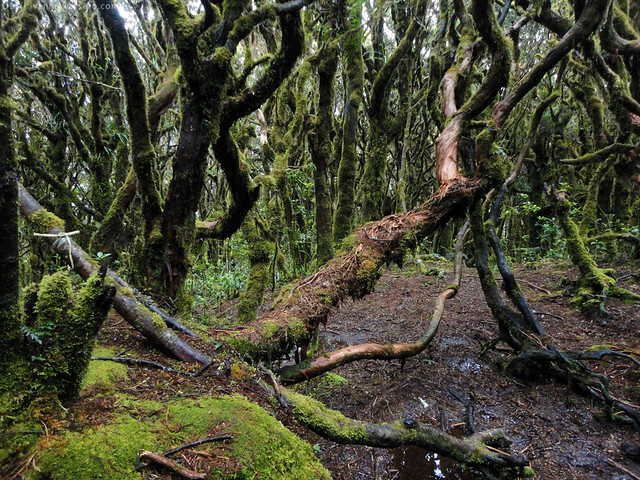 Dulang-Dulang, I have seen in many photos online its mesmerizing mossy forest. Those photos enticed me to climb this mountain aside from the fact that it is the 2nd highest peak in the country. But we've trekking for more than 5 hours now, yet I still don't see those thick green surfaces (just a few patches). Then at around 2 PM, lo and behold, thick layers of moss have begun to emerge. I cannot help myself from looking here and there, every inch of the trail is covered by these beautiful layers of moss, as if I fell under a magic spell cast by the spirits guarding the mountain. Sobrang ganda lang. Too bad, my fancies were suddenly interrupted by a heavy downpour of rain. I really wanted to take photos of the mossy trail we were trekking, but the unforgiving weather forbade me from doing it, aarrghh bad weather! 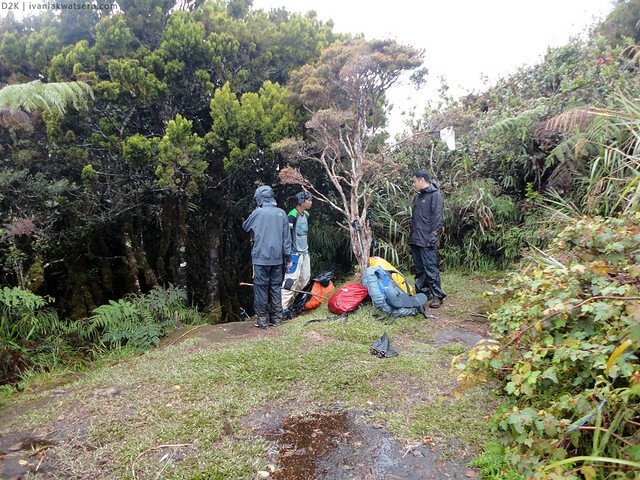 The summit - the second highest in the country - was just 2 more hours away according to Kuya Bogart, so we continued trekking despite the presence of the forbidding weather. good thing I still managed to take photos of the enchanting mossy forest of Mt. Dulang Dulang. It was already 4 PM when we set foot on Mt. 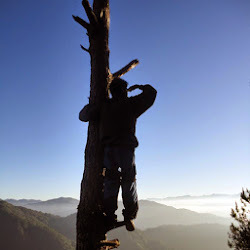 Dulang Dulang's summit. The rain halted, since then we wasted no time and pitched our tents the fastest we could. the summit area has a campsite that would fit 2-3 tents at the same time. It's here where we stayed for the night. By that time, we were battling not only the rain but also the cold temperature which I suddenly felt when I stood still at the summit. Chills to the bones talaga. I would freeze to death if I won't move. That's why as soon as our tents were up, we all got inside. It was Magnet's birthday that day, and we were supposed to celebrate it over a dinner. But all of us just opted to stay inside our tents to stay warm. Actually, I even missed dinner that night. Inside the tent, I checked the time, it was only 06:30 PM, but everyone seemed to be poised for sleeping already. Oh well, I just wished that we'll have a better weather tomorrow. Although it was still very cold, I went outside to check the weather again. Well, it improved greatly compared to last night. "We'll have an awesome trek today," says my optimistic brain. I roamed around to check if I would see something interesting, like the summit of Mt. 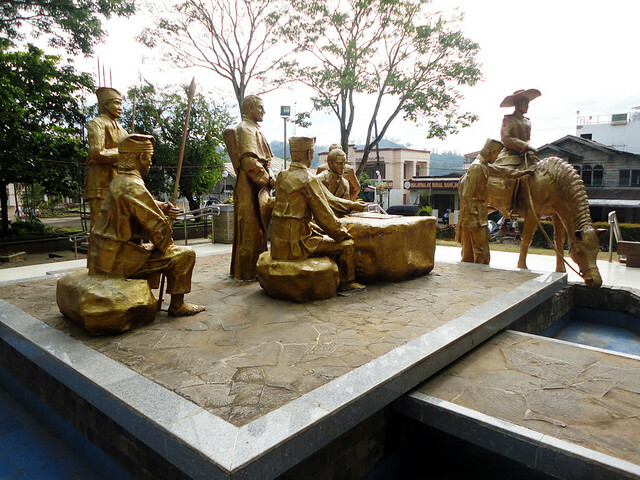 Kitanglad which will be our next destination. 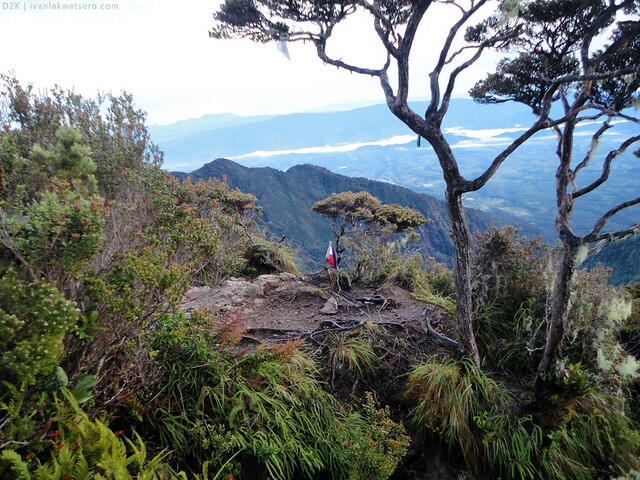 But more than the Kitanglad summit, I saw something even more interesting. My jaw dropped and I felt pure gladness, it was so incredible! my friends, here it is... the summit of Mt. Apo, the highest peak in the country. Mt. Kitanglad, the 4th highest. I almost jumped upon seeing Mt. Apo from Mt. 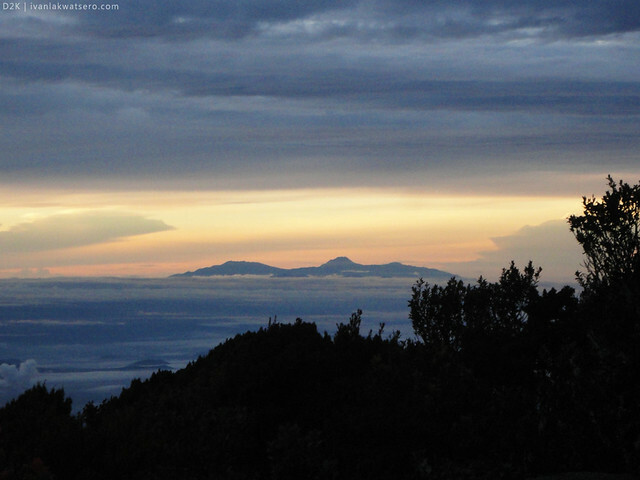 Dulang Dulang's summit. I probably stared at it for like 10 minutes. Anyway, there's another trail at the summit leading to somewhere. I followed it and it led me to a special place. remember the coins wrapped in white cloth given to us by the datu of the Talaandig tribe? they were destined to be tied here. By not eating dinner last night, I ate breakfast twice my usual intake. I'm not sure if someone noticed it, but yeah, I consumed more than 4 cups I think. 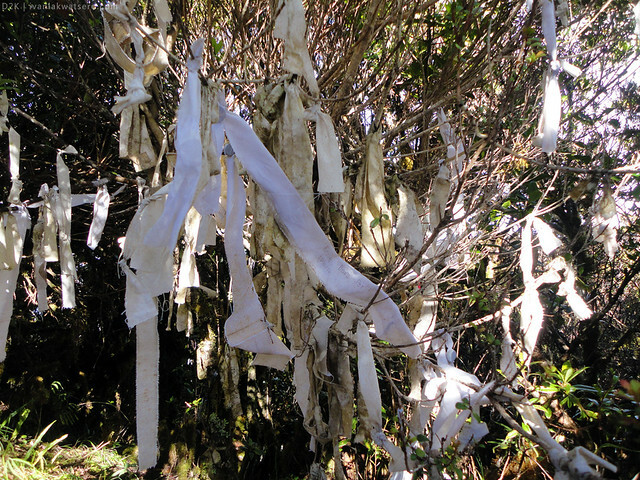 After breakfast, I went back to the summit to tie my coin-wrapped-in-white-cloth amulet in the, I really don't know what's the name of that special place. On my way, I was once again surprised by Mt. 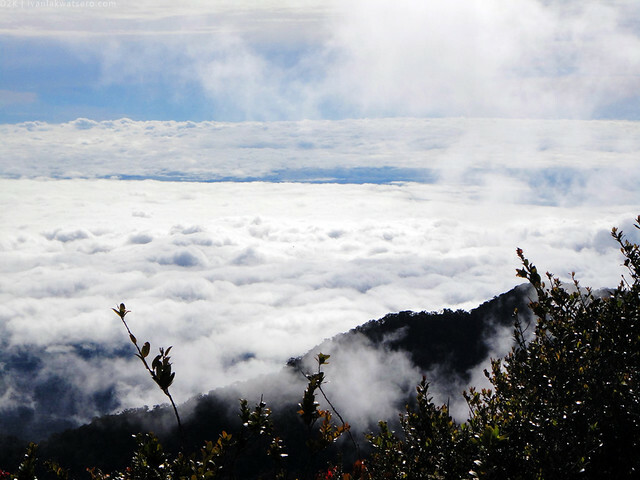 Dulang Dulang, I saw a sea of clouds formation! sea of clouds at Mt. Dulang-Dulang, although it was not as great as Mt. Pulag's, still it was totally awesome. At 9 AM, we left the summit of Mt. 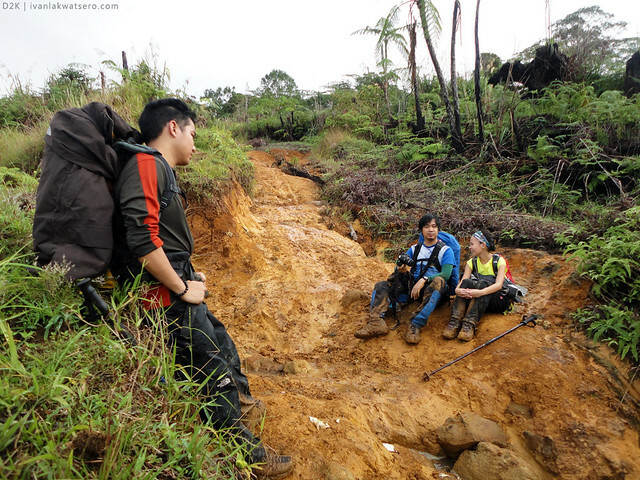 Dulang Dulang to resume our D2K traverse. We'll now head to Mt. 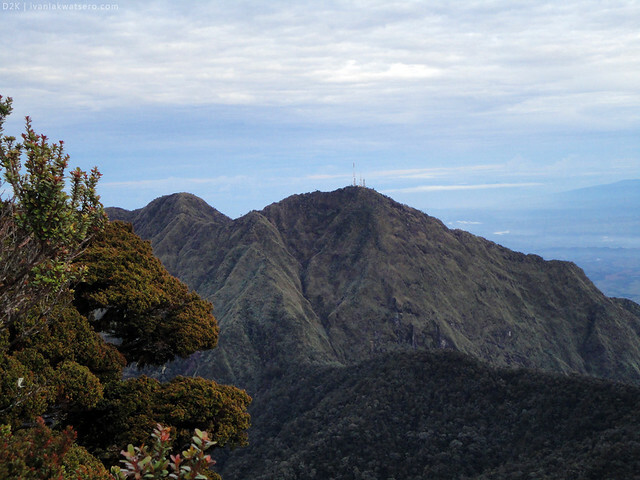 Kitanglad, the fourth highest peak. Hmm, I wonder what surprises await for us in that mountain.